After about 3 months of taking pilates, I knew that this was something I felt an immediate passion for. I had a dance background and my mind and muscles sensed a kinesthetic relationship which was like no other form of exercise I had ever experienced. I wanted to be taught by the best and that led me to the Pilates Studio of New York and Romana Kryzanowska. I took lessons from her and her daughter Shari as well as other trained teachers there and waited impatiently for the next scheduled semester registration. I decided to audition for their most coveted system….The Intensive Program…which was a grueling 12 day system requiring knowledge of all the apparatus and all levels of clients compounded into 8 hour days. On the evening of my audition at the 74th St. studio on Broadway, my elevator got stuck between floors and the fire department had to be summoned to open the doors. There were 9 people crammed into a very small elevator for which seemed like an eternity. Once freed from our holding cell, I had to quickly change into my practice clothes and settle down to concentrate. Maybe, that is a great segue-way into explaining what the inner movement going on within each pilates exercise is all about. We all learn the 600 or more exercises and then…after years of teaching and learning to hone them, we can express a different vocabulary. We can teach our clients to access the smaller, quiet, unseen, and many times, “not felt” movements. These are the hidden passageways to create rotations, small elf-like pivots and centimeter like stretches up through the spine to create intercostals to float or feather over muscles. A good teacher can only achieve more by realizing that we should never rest on our laurels. By that, I mean, we must be exposed to our master teachers to guide us through the next phase of our teaching careers. The ultimate goal is to impart freedom of movement and spine flexibility to all whom we teach. I feel fresher and more enlivened (after attending a teaching seminar) to bring a heightened awareness to people’s minds. I receive such a thrill when I can actually see a cue I give to someone come alive and it creates an immediate facial acknowledgement in the client. That is when you know that you can make a difference and evoke a feeling of awareness in someone else. In a small studio, such as mine, a boutique studio, if you will, I am free to work on these facets. I try to create a semblance of particular pieces to work on on a clients’ session. Repetition and explanation plays a huge part. More importantly, a quiet and serene atmosphere also imparts visual pictures along with verbal assistance. Demonstration is another tool and changing to different pieces of equipment quickly when you need to illustrate a modification in movement can swing a learning curve in a positive direction. With all these puzzle pieces in motion and lesson plans put aside, we, (teachers certified with Romana), all began with her words and her blessings when we left. Our foundation was well set with her signature on our diplomas. And from then, to the present, a diligence overrides a good teacher to stay traditional and classical. Through continuing educational seminars, our alumnae of teachers still stay in touch, share ideas, and practice together with the quest to always stay enriched with ideas to better teach our clients. Our guild consisted of our elite teachers who passed through the doors of the Pilates Studio of New York and were taught under Romana, Shari, and Bob Liekens. 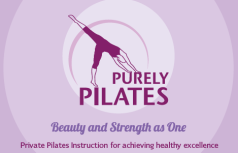 After our trademark name was lost in a failed attempt to keep the work of Joseph Pilates separate from all others, pilates became a generic brand and everyone jumped on the bandwagon as a teacher. Sadly, a weekend course became enough to say a person was qualified to teach. However, their knowledge of the system is far inferior to those of us certified through Romana Kryzanowska. So a word to those seeking the truest and purest form of pilates is to seek a hands on approach to teaching. That is the clear winner.